Grass with clover for permanent or rotational grazing of all free range poultry. 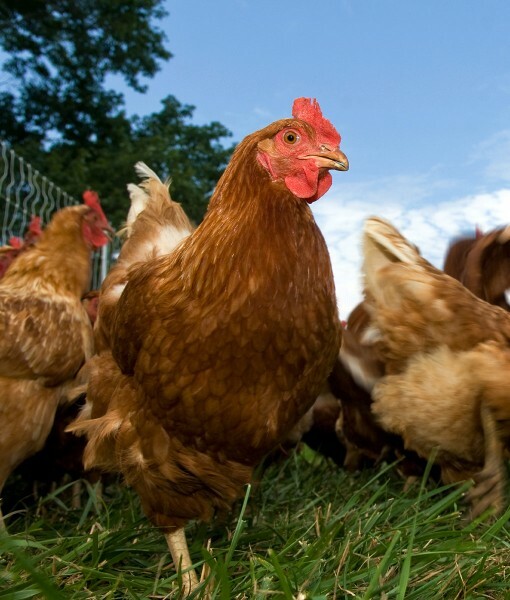 There remains a growing market in the UK for free range commercial and domestic poultry products. All commercial free range chickens, ducks or geese must have access to outside forage during daylight hours. EC legislation requires that all poultry must have continuous daytime access to open runs which are ‘mainly covered with vegetation’ and with a maximum stocking density of 2,500 birds per hectare (1 bird per 4 square metres). Our Basic Poultry Pasture seed mixture is based on short growing, hardwearing grass species to fulfill that legal requirement. Although this product contains only a relatively small amount of red and white clover, it still makes a significant contribution towards voluntary protein intake to any foraging bird, especially high production egg laying hens. The sward will provide good ground cover and a very stable, robust pasture providing the area is rested for 8 weeks during the growing season to allow for plant regeneration. Sow at the higher rate for faster and more even establishment.